Who are the Friends of the Salisbury Public Library? We are an incorporated non-profit organization of interested library users from Salisbury and the surrounding area. Our group was founded in 1970 to support and promote the Salisbury Public Library. We are committed to the library’s mission to provide resources for information, education and recreation. We work to increase public awareness of the library, its resources and its services. We fund materials and projects outside the scope of the regular library budget. To learn more, please click here for a copy of our By-Laws. Do you and your child (children) attend story hour? Did your children participate in summer reading programs? Has your family attended library sponsored entertainment: puppet shows, science programs, end-of-the-summer ice cream party? Have you borrowed a museum pass? Have you borrowed a large print book, or a book on CD? If you can answer yes to any of these, you have benefited from the generosity of the Friends of the Salisbury Public Library! If you would like to join the Friends of the Salisbury Public Library you can download a membership registration form or apply online below. Become a Member of the Friends Online! You may also now sign-up for or renew your tax deductible Friends membership instantly online and pay securely via your Paypal account or a credit card using the membership type option buttons below! Friends of the Salisbury Public Library electronic application with secure payment via a PayPal account or a credit card. If you would like to join the Friends of the Salisbury Public Library you can Download a Membership Registration Form or apply online via credit card. See left below to apply online. The Friends provide tangible support to the library. Click here to see examples of that support. Check out our Book Nook ! 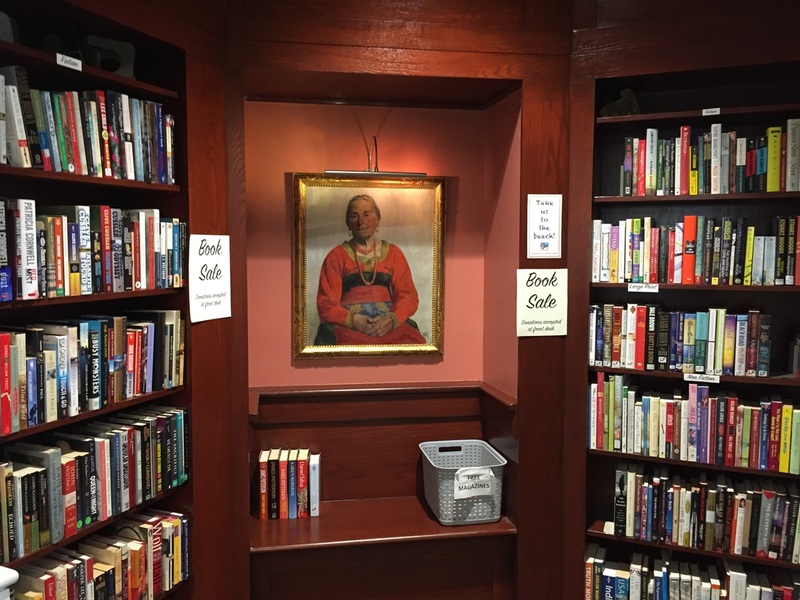 The Friends of the Library have an ongoing book sale set up in our Book Nook. Gently used books and DVDs are available. Pick out what you would like and leave a donation of your choice at the front desk. ​We appreciate your donation of gently used hardcover books, DVDs, and audio books. Based on the quality of your items we will either offer them for donation in our Book Nook or donate them to a local non-profit. We will not accept books with broken spines, cigarette or other noxious odors, encyclopedias, textbooks, VHS tapes, or Reader's Digest condensed books. Go to our Amazon Smile promotion page.